Sharon Winston has achieved many things in the last 36 years in the Cosmetology Industry. Attending Vogue Beauty College in 1980 and receiving her Cosmetology License where she then went on to work behind the chair for 16 years before returning to school to obtain her Instructors License from Olge Beauty College where she worked for 3 years before joining the I.T.S. Academy / Olympus Inc. family of schools. Through hard work and determination, Sharon has continued to grow professionally, working her way from an Instructor to a Director to the Regional Director of the New Mexico schools, based out of Albuquerque. Sharon’s skills and understanding of the industry, the school operations and admissions are shown through her passion and drive for teaching and educating each student to be their very best so they too can be successful in the industry she loves. Since graduating from cosmetology school in rural Illinois in 1990 Michael Russell has been going non-stop! After graduating Michael wanted to see some of the world and has been licensed in New York, Illinois, Oklahoma, Texas, California, New Mexico, Colorado, and Arizona to name a few! During that time, he worked as a stylist, manager, general manager, certified technical trainer, corporate trainer, brand manager, school owner, educational director, school instructor, school director and platform artist amongst many of the hats he has juggled. In 2005 Michael decided that he wanted to give back to the future of the industry that had been so generous to him and went on to become a Licensed Instructor and Barber. Since 2005 Michael has taught every phase of cosmetology, barbering and Advanced Aesthetics. Sarah Quezada is a self-starting, motivated professional who has been active in the student services and admissions department of Olympian Academy since 2011. Sarah has solid background in student recruitment and the enrollment process including financial aid facilitating and she enjoys educating each prospective students about the campus and their desired course of interest so they can be put on the path of an exciting and rewarding career. Denise Sosa is a licensed Master Barber, Cosmetology Instructor and has received Advance Training in Esthetics skin care including certification in PCA peels, Kryolan Movie Makeup, Airbrush & Spray Tanning and Lash & Brow extensions to name a few. Denise loves to teach and give back to her students. She is dedicated to making education fun! Christopher Barr is a licensed Cosmetologist, Master Barber and Cosmetology Instructor, obtaining his Instructors license in 2010 from Olympian Academy. Christopher’s love for the industry, learning and teaching is shown in his classroom as he seeks out the latest trends along with the classics to inspire and educate his students so they can be the best they can be. He believes you should always be learning – his training is never done just like his students. 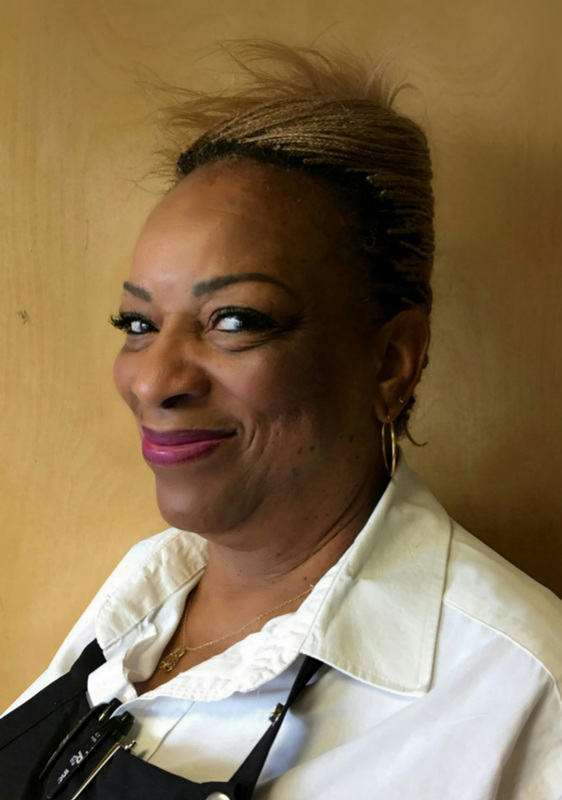 Wanda Cheatham has been in the Cosmetology Industry for over 37 years. Upon graduating Cosmetology school, she immediately started working as a stylist where she worked her way to being the Assistant Manager followed by a promotion to the Manager. As time passed, Wanda realized she wanted to give back the gift of education that she had received. She received her Instructors license from Vogue in 1978. While Wanda has worked in nearly all areas of the cosmetology industry, which she has also received many awards and certificates for, Wanda enjoys teaching up and coming future stylists the most and loves to watch her students transition and grow in their skills and talents throughout their education. Jillian Russell attended Heights Beauty College and has been a licensed cosmetologist for over 30 years. In 2011, Jillian achieved her Instructors license and began teaching at Olympian Academy in 2012. She is an expert in Advanced Cutting techniques and enjoys educating her students in the same advance skills.